It provides a financial safety net – If you experience a disability as a result of an illness or disability that prevents you from being able to work, long-term disability insurance can help to cover as much as 50 to 60 percent of your income. In fact, some policies will continue to cover you for as long as you can’t work due to your disability until you reach the age of 65. 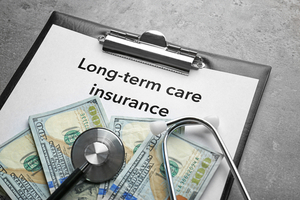 Long-term disabilities are common – A lot of people think they don’t need long-term disability insurance because they believe the chances of becoming disabled are slim. However, according to the Social Security Administration, as many as 25 percent of people who are currently 20 years old will end up being disabled before they reach their 67th birthday. Many employers do not provide long-term disability coverage – Many people simply take whatever insurance plan their employer offers. However, only 41 percent of employers offer long-term disability insurance, even though group plans only cost an average of $256 a year. Additionally, many employers are offering the coverage as a voluntary benefit, which means that employees must pay for this premium themselves. Benefits are tax-free – Employees that end up paying for long-term disability coverage themselves using after-tax dollars, their benefits will be tax-free should they ever need to use their coverage as a result of a disability. This can make voluntary coverage beneficial to employees, but unfortunately, many employees skip the extra cost thinking that the coverage isn’t needed. These are four reasons why long-term disability insurance is something that everyone should consider purchasing. For more advice or news concerning health insurance, be sure to visit us at The Benefits Store today.